Punta Gorda, FL will host its 27th annual Punta Gorda Block Party on April 20, 2013. The event is very popular with locals and visitors alike. The city closes off several downtown streets for the party where revelers can enjoy arts, crafts food and drink and listed to music on two stages. 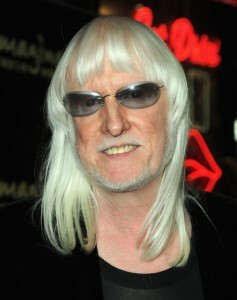 This year, the featured performer will be world famous musician and songwriter, Edgar Winter. Winter has been playing with his band as well as other popular groups such as Ringo Starr & His All Starr Band. He is famous for being a multi-instrumentalist, playing keyboards, guitar, saxophone and percussion. There will also be a full day of music supplied by our own, local artists. Entry to the festivities is a voluntary contribution of $1, a great bargain for a day out with the family. Edgar winter is scheduled to perform at 6:30 on the main stage. Other artist are The Charlotte High Jazz Band, Denny Pezzin, Cover Art, Democracy, Daisy and Brownie Girl Scout Choir, Goldtones, American Made and The Boogie Men.